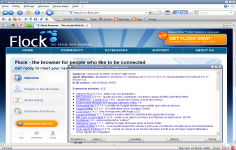 Flock is a free web browser based on Mozilla Firefox engine which offers a comfortable speed. 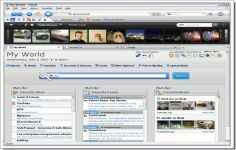 It has several features of social networking and data sharing. This software also has a visual interface that makes navigation more enjoyable. It has been designed for users using intensely social networks. Flock has a side panel to have direct access to various social networking sites like Facebook, Myspace, Twitter, Digg, Flickr, Yahoo! Mail, Gmail, YouTube, etc. Users will be able to exchange data with the web too. Drag / drop is enough to post bookmarks, photos or videos. Curently we don't have any log information about Flock version 2.2.248 Team Communication App for PC Windows. We will this change log update soon!